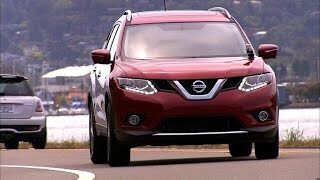 Nissan has unveiled the redesigned 2014 Rogue at the 2013 Frankfurt Motor Show. 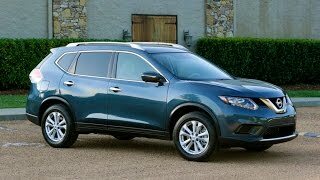 The new Rogue is bolder with emotive styling, more fuel efficient and more spacious while packing a newly optional third-row and an array of available affordable technologies. For the first time Rogue offers optional 3-row/7-passenger seating, thanks to its improved interior packaging efficiency. Other interior highlights are the exceptional passenger and cargo flexibility with its innovative EZ Flex seating System. It also offers an innovative, class-exclusive Divide 'n Hide Cargo System that provides 18 adjustable variations. The new Rogue's front bucket seats are a special "zero gravity"-inspired design. The exterior provides a premium, high-quality look and feel thanks to its long wheelbase and short front and rear overhangs. Rogue's bold, sharp bodylines offer a sporty and confident appearance. Exterior highlights include standard halogen headlights with signature LED daytime running lights, body-color outside mirrors and a rear spoiler. 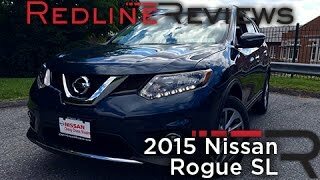 Rogue S models are equipped with 17-inch wheels, while 17-inch aluminum-alloy wheels are standard on Rogue SV. Also available are 18-inch aluminum-alloy wheels on Rogue SL models. 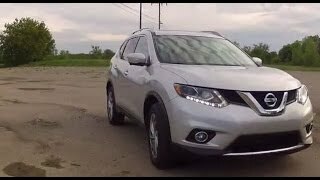 The 2014 Nissan Rogue is powered by a responsive 2.5-liter 4-cylinder engine rated at 170 horsepower and best-in-class 175 lb-ft of torque. The engine is matched with an advanced next-generation Xtronic CVT® (Continuously Variable Transmission) with standard Sport Mode switch.